I told you there was going to be more embarrassment, didn't I? 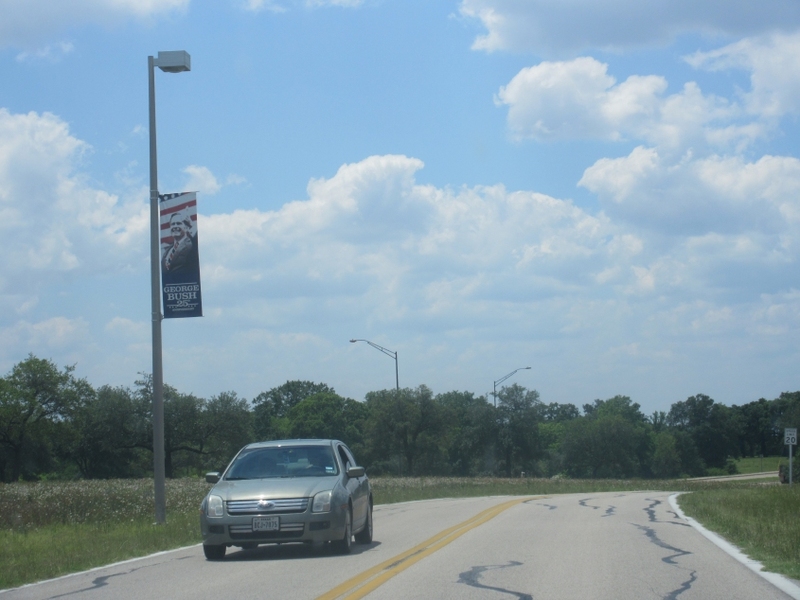 College Station, TX, was dotted with these banners celebrating the 25th anniversary of George H.W. Bush rising to power. 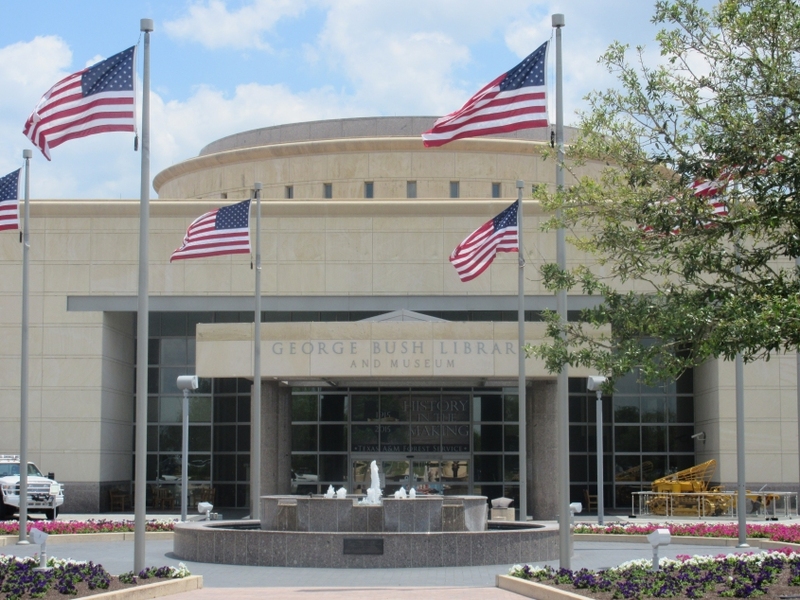 And this is the icing on the cowpie: Bush's official museum. It was interesting to visit, but be warned, it's as one-sided as everything else associated with the Bush royal family. Well, almost everything else - as you'll see later. This has to be returning to College Station from whatever side trip. 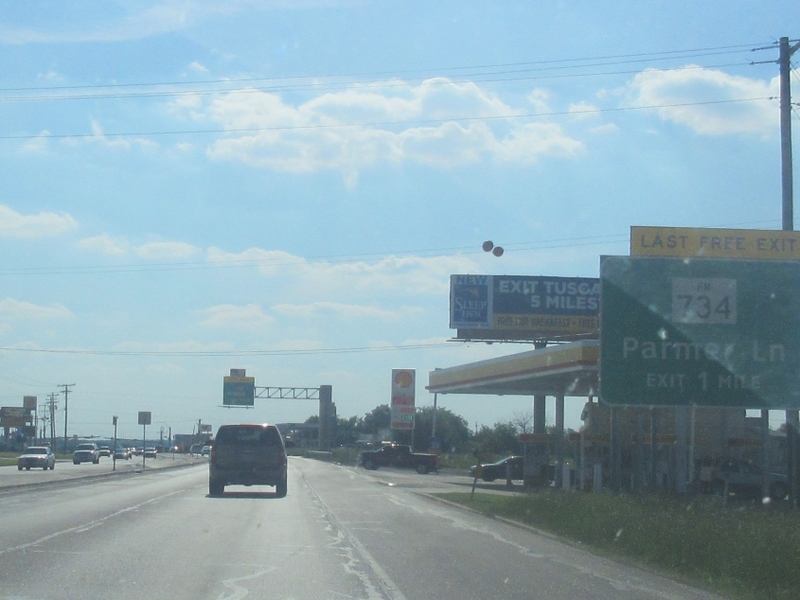 I thought it was hilarious that TX 6 had an exit called Westward Ho. 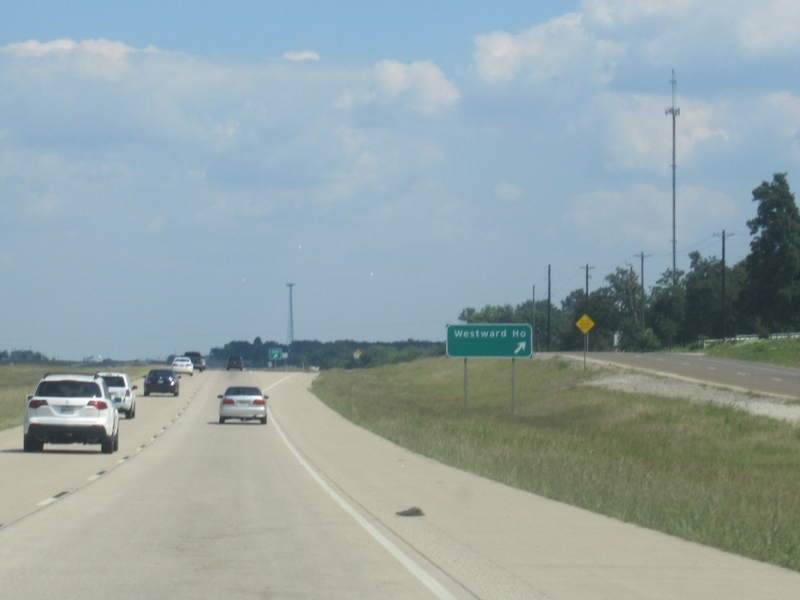 TX 6 is an astonishing 476 miles long and has this freeway section near Bryan. 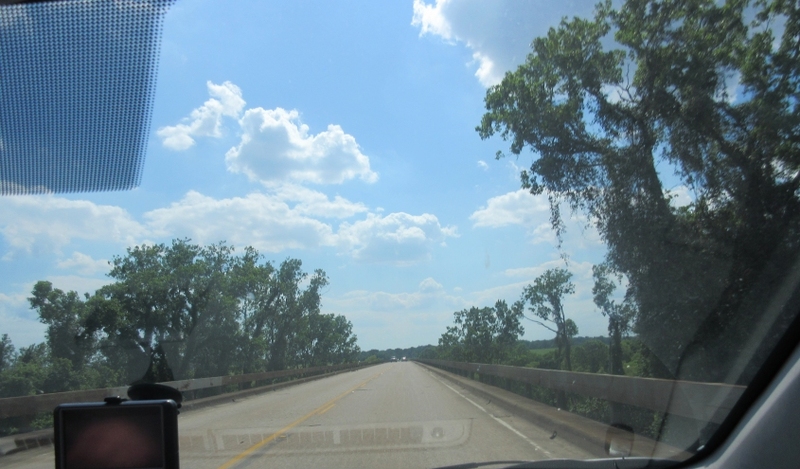 TX 105 crosses the Brazos River. 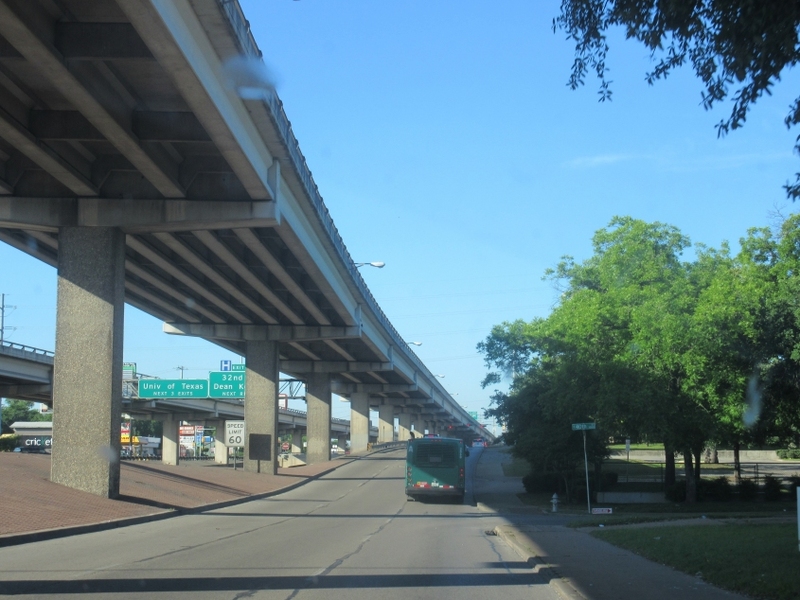 Academy Street in Brenham becomes Martin Luther King Jr. Parkway up ahead and goes under a rail bridge. 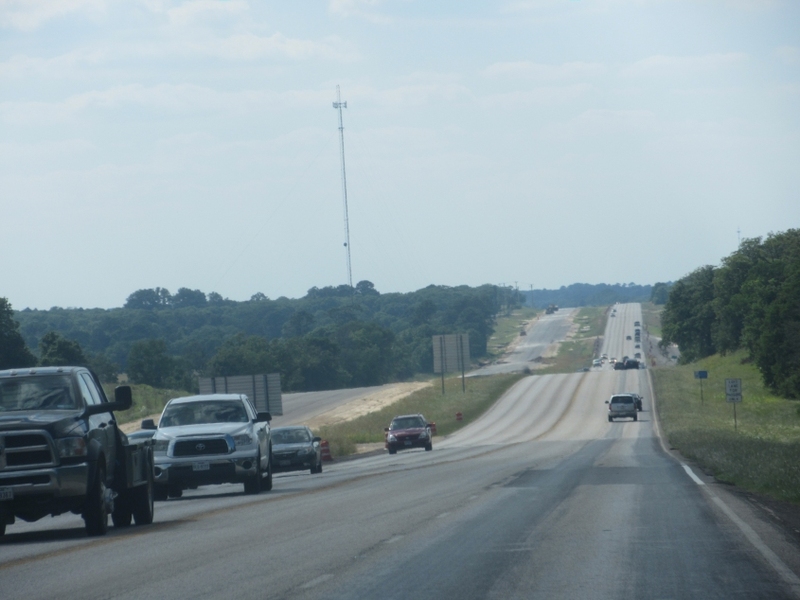 I think this is US 290 being fashioned into a divided highway, but my road atlas said it already was. 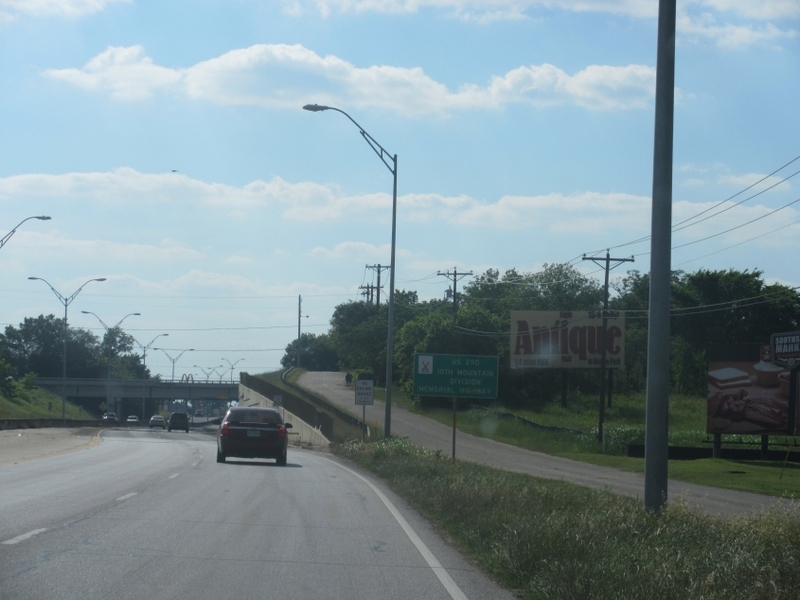 US 290 in Elgin. 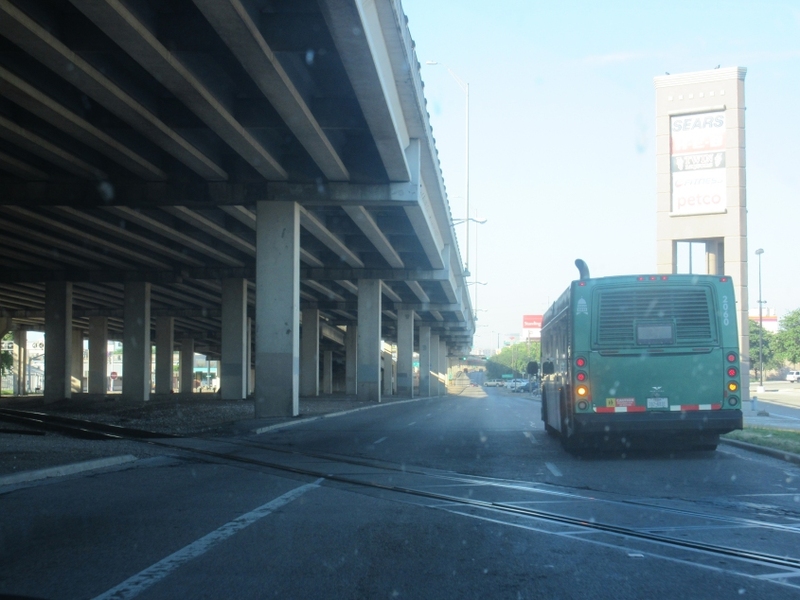 It goes under a rail line, but the road that parallels us on the right is sort of interesting too. Sort of. 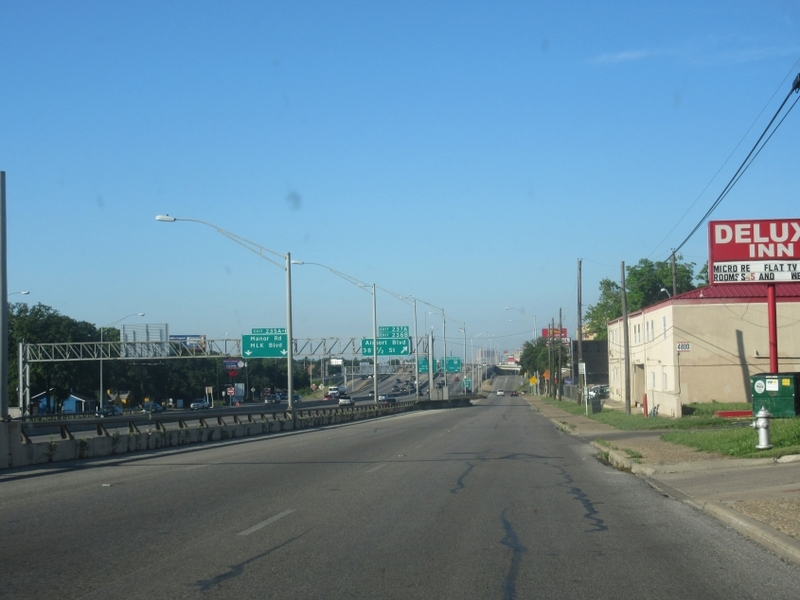 US 290 approaches Austin. "LAST FREE EXIT"? Were they trying to pull one over on us? Kind of, if poo. 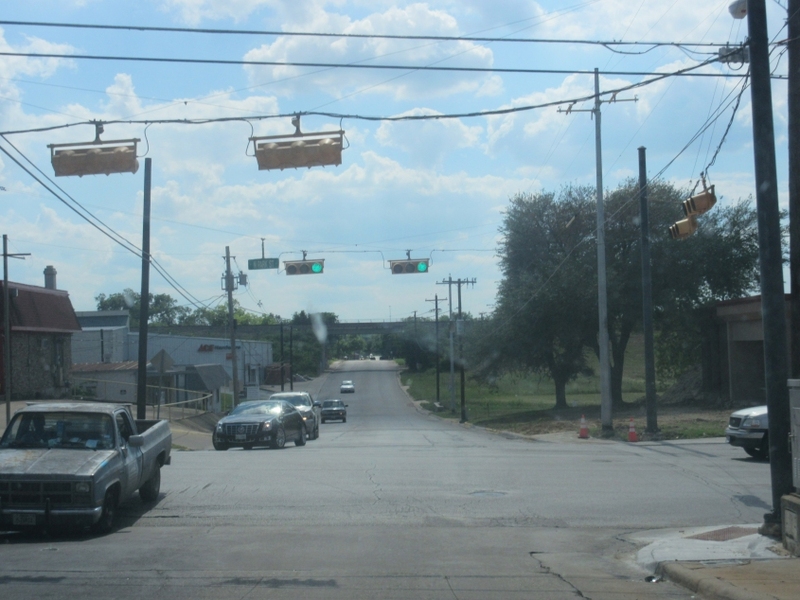 This is the start of the Manor Expressway, a toll freeway emerging from Austin that opened in 2014. 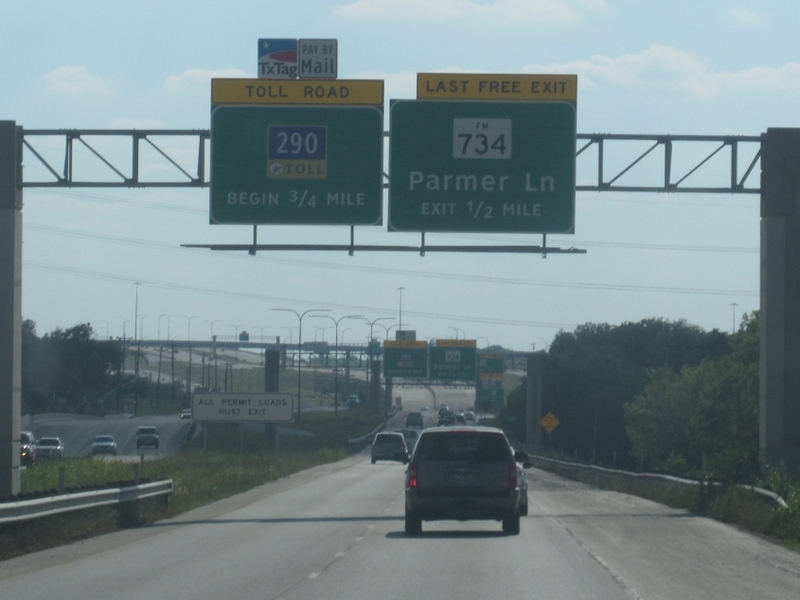 The tollway itself is TX Toll 290, while the free frontage roads for it are US 290. Got that? We saved our hard-earned dough by using the frontage. Also, the "PAY BY MAIL" thing is kind of amusing. Oh, and Clearview wasn't intended to be used on route shields. We're countin' down to the beginning of TX Toll 290. And we don't stop 'til we reach the top! I guess now we're on the frontage. The service road approaches a ramp for TX 130. Those in the know call that tollway Pickle Parkway. 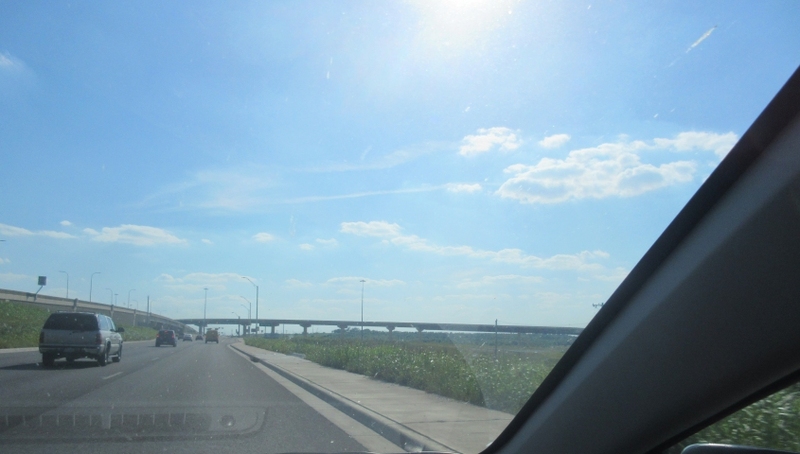 TX 130 is an alternate San Antonio-Austin freeway completed in 2012. 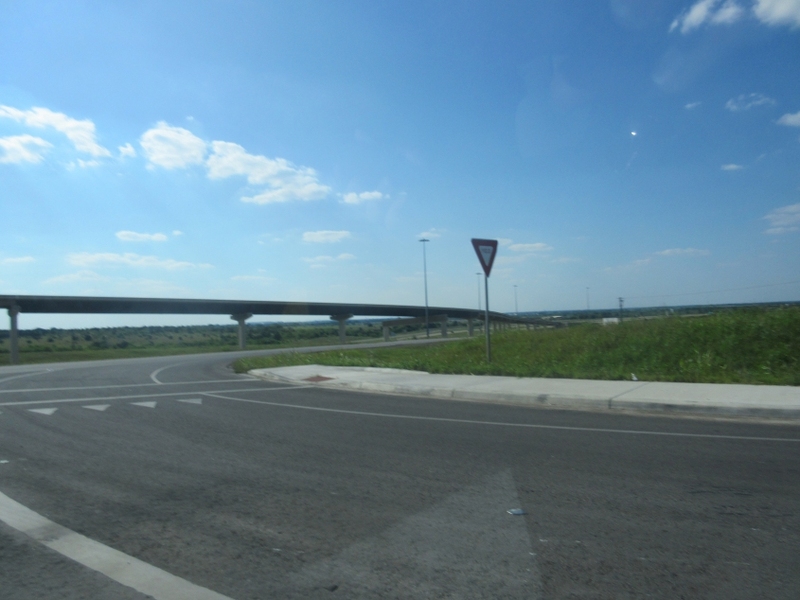 Another view of the TX 130 ramp - at the junction with the TX 130 frontage. Frontage continues, with a ramp on the left to the tollway. 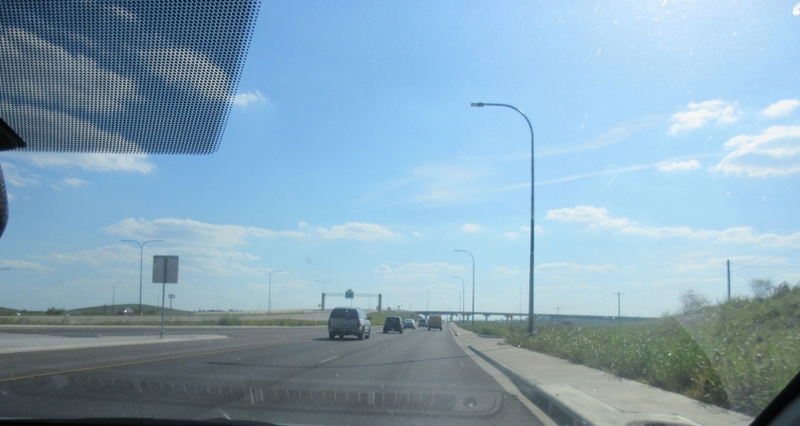 Continuing on the one-way frontage road. 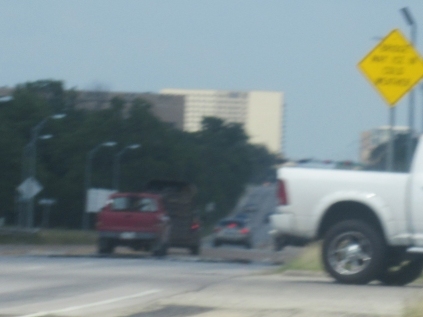 South on the I-35 frontage in Austin. 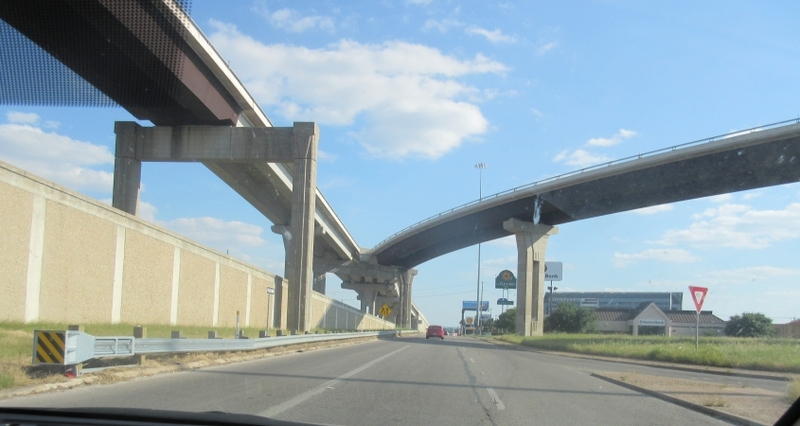 The ramps overhead are from the Manor Expressway to I-35. 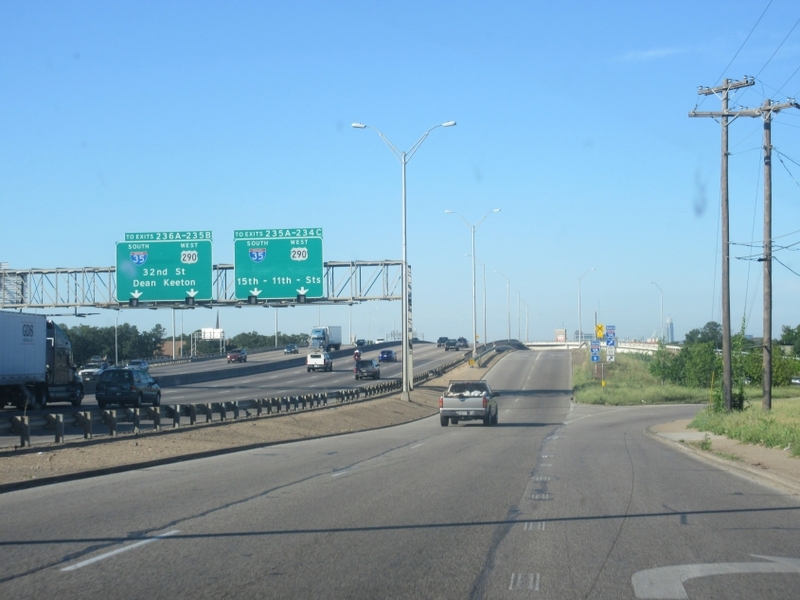 This is the I-35 frontage again, and I-35 itself is on the left. Another complified interchange. The I-35 frontage has its own exit to Airport Boulevard - though the ramp splits and loops under I-35 to its northbound frontage. 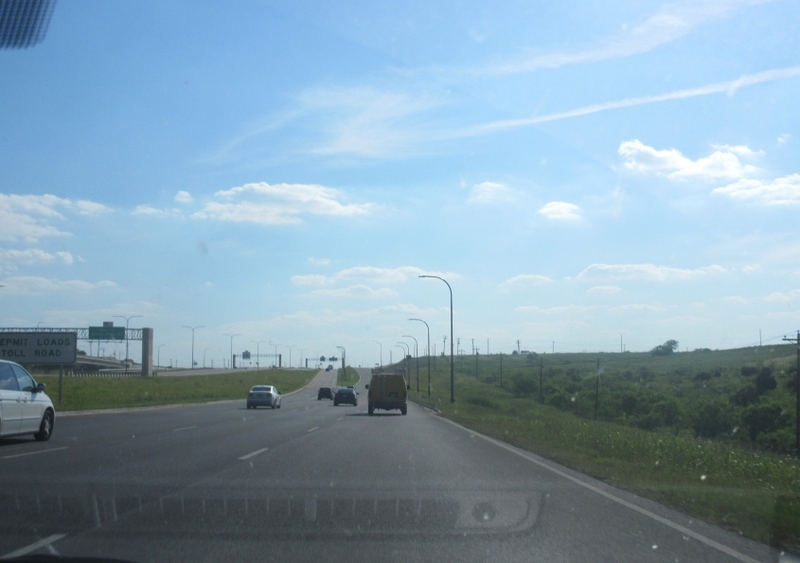 Right after the Airport Boulevard exit. I-35 is now overhead somehow. Still on the I-35 southbound frontage. 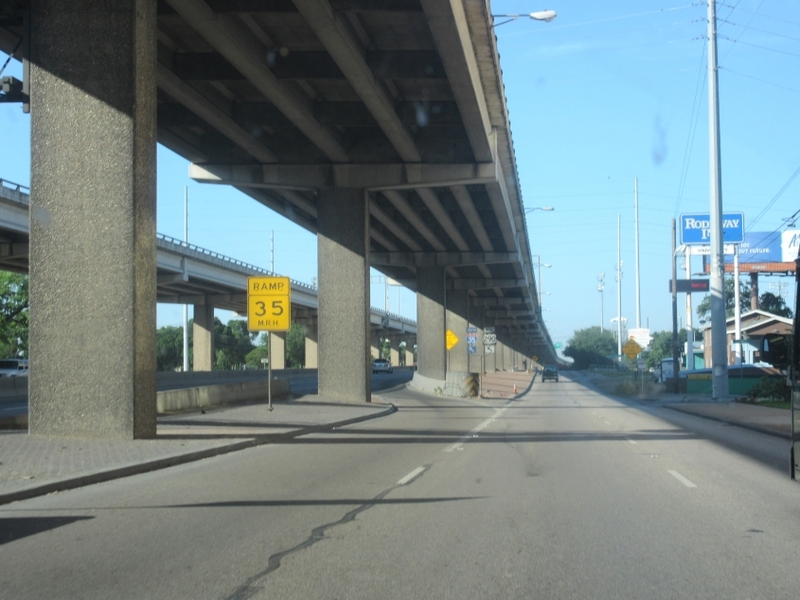 It appears as if I-35 is essentially multilevel. 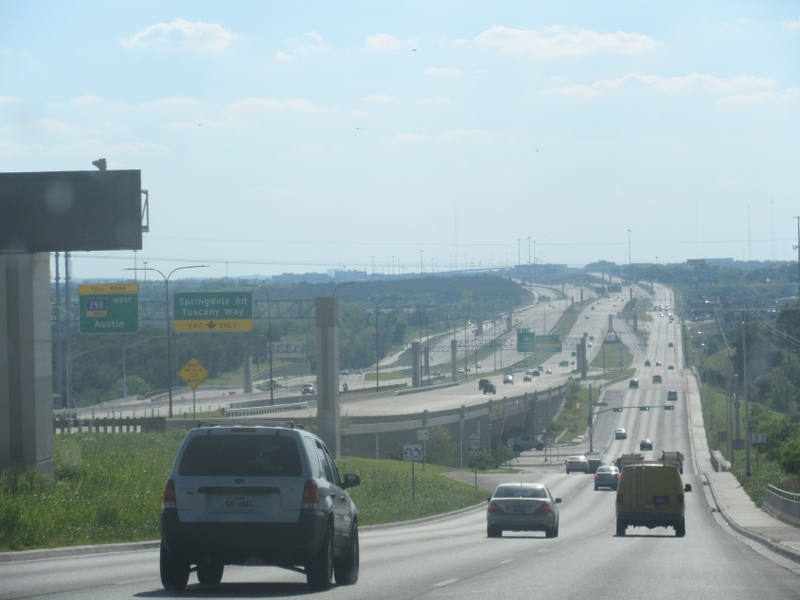 Highlighting the apparent twin-storied nature of I-35 in Austin. 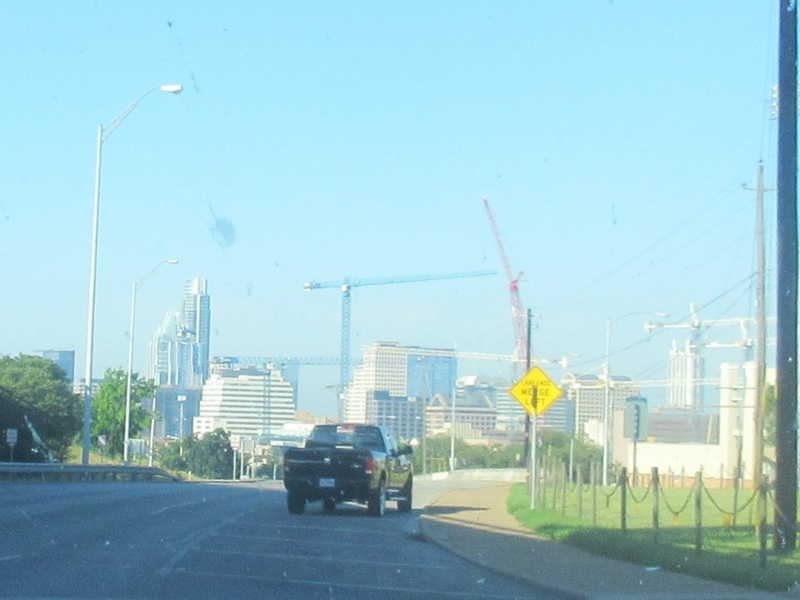 A view of downtown Austin from the I-35 frontage.